The events industry is a very specialised area when it comes to insurance. It’s not a simple case of health and safety at work for example. By their very nature events can be changeable, open to last minute modifications and things going wrong, and of course you’re dealing with the most unpredictable component on the planet, the human being! You’re putting peoples’ safety in your own hands to a greater or lesser degree with events, or placing them in situations where the liability rests with you if something goes wrong. It doesn’t have to be a life-threatening danger for there to be a claim, it can simply be that something goes wrong or the event is not what you promised. What goes wrong depends on the type of events you are running. With weddings for example it can be something as simple as the photographer not turning up. Not a major disaster of course in biblical terms but for the bride and groom, they are suddenly faced with the most important day of their life being consigned to dad’s digital camera instead of the beautifully styled shots they had envisaged. It could also be that guests at your event behave badly causing damage to a venue for example, and your insurance should cover this too. Insurance can cover you for lighting and fire accidents – imagine you have lighting throughout an event, possibly a Christmas party with trees and lights – and it catches fire. Or the epic firework display you had planned for the end of the event goes wrong and sets fire to the trees outside. Insurance is most definitely needed for this! If you’re offering events to companies and corporate groups you will most definitely need good public liability insurance and many companies will demand that your cover extends up to £10 million. So many exhibitors in one place, the potential for accidents is high. Exhibitions require specialist cover, particularly in the event of cancellation or accidental injury or damage. If you generally don’t hold potentially dangerous events it might be possible to have lower cover insurance but take out higher cover for one-off activities. Check with your insurance supplier. 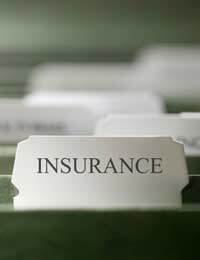 As the events business requires fairly specialist cover you will find the best way to get insurance is through insurance companies that specialise in this field. There are many that offer such a service, and of course it’s always good to get a couple of quotes at least. But make sure when you fill out the quotation details that you cover the worst case scenarios. Because even if you think it’s unlikely to happen, you absolutely have to be covered, even if it’s a one in a million chance. If you are an events company that offers events overseas – say incentives or conferences abroad – you will need to ensure your insurance covers this too. Check to see if there are any requirements for the policy, such as membership of ABTA or TIDs which are bodies that govern the safe operation of international events. Make sure your insurance covers your employees too. It’s not just the company that requires protection but them too. Make sure you appraise your insurer of any medical conditions or disabilities that staff might have that could affect the way they operate within your particular arena.